Charities often find it hard to stand out from the crowd — using the same ol’ tactics can make us unreceptive to the problems in our world. Whether it be intensely emotional TV ads that make you switch the channel or print flyers that get tossed out, we’re finding ways to avoid harsh realities. To tackle the issue, charities are using new technology — and it seems to be working. VR is a new field that we’re still learning to navigate — so how are charities doing it, and how can they use the right medium for their needs? 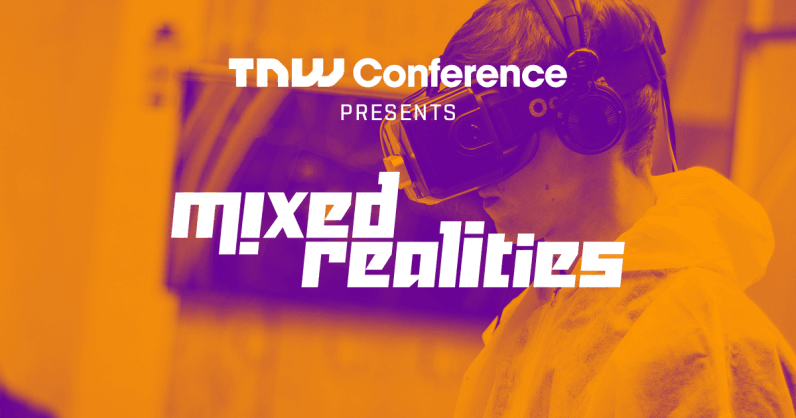 At TNW Conference this May, our Mixed Realities track will explore these questions. We’ll be taking a closer look at how VR can show an immersive story, and how to get it right. So let’s explore the new tech that charities are using. Charity: Water’s immersive VR experience is a great example of new tech making a real impact on donors. The VR video follows Selam, a 13-year-old girl who travels for miles each day to get water. Selam has little time for schoolwork as a result, and we learn that the water she drinks is dirty and teeming with leeches. The virtual reality immerses you into her story, and helps you see what she sees everyday. When Charity: Water comes to install a well in her village, you can see the joy her family experiences. I don’t usually get emotional at movies, but I certainly got a bit misty-eyed watching this. Even without a VR headset, just being able to turn the camera around had a real impact on me. I could see Selam’s living conditions, how beautiful yet arid her surroundings were, and how arduous her journey for water became. Charity: Water showcased this VR video at a fundraiser in Manhattan. In a single night, it raised $2.4 million. Clearly, I wasn’t the only one feeling emotional. Smile Train’s VR initiative, however, was a little different. The 360-degree video shows the story of Nisha, an Indian girl who was born with a cleft lip. Her family lives below the poverty line and was unable to afford correctional surgery without the help of Smile Train. While it’s a wonderful charity and it was moving to see Nisha’s transformation post-surgery, I found that the VR was not used to its fullest extent. Charities who use technology to share stories should be mindful of the execution. The whole point of VR is to show, rather than tell — to create an immersive experience that moves viewers and highlights the charity’s initiatives. We can’t always use old methods for new mediums. Watching Smile Train’s 360-degree video made me realize what worked so well in Charity: Water’s VR. It gave viewers the time to navigate on their own, by allowing them to make a full 360-degree turn around the scene. I think the charity fits very well into a VR experience, so there’s a lot of potential for future endeavors — especially because VR offers the possibility to see the world of those in less fortunate situations. As we enter this new domain of VR, we’re going to make mistakes and learn from them. Smile Train’s VR isn’t bad by any means, and it’s just a good example of where we can grow in the future. Video games are another method used by charities to create a new experience, and it could be a huge source of donations in the future. The smartphone game Bury me, my Love developed by Arte takes you on an interactive journey to realize the hardships of a Syrian refugee traveling to Europe. Through text messages, the gamer takes the role of Majd, the husband of Nour. While Majd must stay in Syria to care for his grandparents, Nour makes the difficult decision to leave. The gamer must advise her along the way, and this determines her success or failure. Bury me, my Love is meant to raise awareness of the struggles refugees face. It immerses the user in a way that’s unfamiliar. While it doesn’t prompt you to donate for the cause, it certainly made me feel empathy on a new level. I think video games could also be a great immersive way for children to learn empathy at a young age, and those values might lead them into philanthropy when they’re older. Video games can also just teach kids about the world we live in. For example, Minecraft can help teach kids about water safety. Beyond that, charities are beginning to see the potential for donations in mainstream video gaming. Hosting LAN parties or creating a donation stream via Twitch has proven effective in the past. Last month, the charity Gamers for Giving hosted their annual week-long gaming marathon in the US. It raised over $700,000 in donations, which will go towards providing entertainment devices to hospitalized children. This esports event could just be the beginning. As esports becomes recognized as an official sport, the potential for charities to tap into the market grows exponentially. It could be a really great way for donations to increase, as Gamers for Giving clearly proves that it works — but that’s a discussion for another time. TNW Conference’s Offside track will delve deeper into the future of esports. Looking ahead, implementing new technology seems like a good way forward. I personally felt moved by all the innovative tech projects I’ve discussed, and there’s a massive potential for even more of it. Smile Train’s VR video is a great reminder that charities need to find the tech that works for them. I do think that VR has a place at Smile Train, but it’s also important that charities understand the goal of the tech they’re implementing, and ensure that they use the medium to tell their story in the best way possible. Now we need to ensure that we keep reinventing ourselves to hold donors’ interests. There may come a time when we get bored of VR in charities — so how do we keep reinventing the consumer experience? How should charities justify the costs to donors? How can VR be used most effectively? At TNW Conference’s Mixed Realities track, we’ll be answering these questions. VR has the potential to show someone’s unique journey in a way we’ve never experienced before. As we learn how to hone VR, we can expect to see great things.